Tony Tripeny has been promoted to finance chief at Corning, effective Sept. 1. As CFO he takes over for vice chairman and CFO James Flaws, who will resign as CFO on Aug. 31 and will retire from the company in November. Tripeny, who has been at Corning since 1985, has been corporate controller since 2005 and principal accounting officer since 2009. 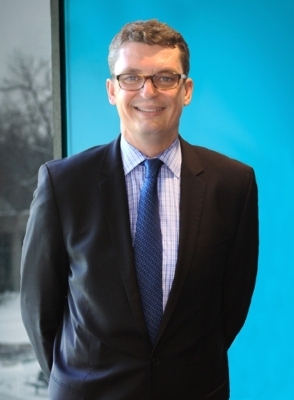 Celanese has appointed Chris Jensen to the top finance spot. Jensen joined the company in 2005 and had been interim CFO since May of last year. Retail Properties of America has appointed Heath Fear CFO and treasurer, effective Aug. 17. He will join the company from General Growth Properties, where he is now senior vice president, head of capital markets. Technology provider Intralinks Holdings has chosen Chris Lafond to head finance, replacing Derek Irwin. Previously, Lafond was finance chief at Gartner. Business-surplus marketplace Liquidity Services has chosen Jorge Celaya as its next finance chief, effective Aug. 10. He will take over for Jim Rallo, who will become president of the firm’s retail supply-chain group. A co-founder of investment company Avanz Capital, Celaya also previously led the finance function at FTI Consulting. Marin Software has named Catriona Fallon to fill the top finance spot. Most recently, she was chief of staff for the CFO of Cognizant Technology Solutions. D. Michael Parker, who has been CFO, secretary and treasurer of Kewaunee Scientific for the past 20 years, intends to retire by year-end. The company plans to undertake a search for his successor. The Institute of Internal Auditors has selected Ann Cohen to lead the finance function, effective Aug. 31, replacing David Polansky. Cohen is now head of finance at Woodfield Country Club in Boca Raton and is a former CFO of Bainbridge. Software and cloud-services provider Interactive Intelligence Group has named Ashley Vukovits to the posts of CFO, secretary and treasurer, effective Aug. 1. As CFO, she succeeds Stephen Head, who is retiring. Vukovits has been at the firm since 2003, most recently as vice president of finance. Joseph Ragan, who heads finance at Globe Specialty Metals, will continue in that role once the firm has merged with Grupo FerroAtlantica. The merger is expected to be finalized in the fourth quarter of this year.